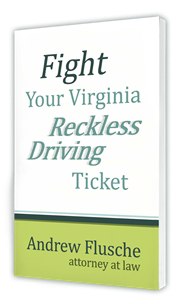 Virginia defines reckless driving as “any person who drives a vehicle on any highway recklessly or at a speed or in a manner so as to endanger the life, limb, or property of any person” irrespective of the speed limit on that particular road. The state takes charges of reckless driving very seriously, and the traffic violation comes with serious penalties for people found guilty of the charge. I understand the importance of understanding how a guilty plea or conviction for reckless driving may impact your driving record and how it might impact your life personally and professionally. Your driving record is an important tool for a judge, employer, school, or military to evaluate whether you are qualified for a position with their institution. Depending on the seriousness of the violation, Virginia law states that different traffic violations stay on your record for varying periods of time. The points stay on your license in Virginia for two years, however, the charge can stay on longer. Under the law, a conviction for reckless driving stays on your driving record for eleven years. Being charged with a violation for reckless driving does not mean that you are automatically convicted of the crime and hiring an experienced traffic law attorney can help you evaluate your options. One option is to fight the charge in court, arguing that you were not recklessly driving and therefore should be acquitted of the charge. The prosecution must prove beyond a reasonable doubt that you are guilty of the charge in order to secure a conviction for reckless driving. 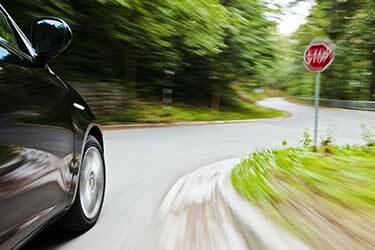 If you are facing a reckless driving charge on your record, you need to contact me so we can discuss your options. Another option is to have your attorney negotiate with the prosecution for a lesser charge, such as speeding or improper driving, which is on your driving record for far less time. There are other options for reckless driving but the final option in some courts is to pre-pay the ticket for reckless driving and avoid the court system altogether. This is not available in the Fredericksburg area, but some courts do allow pre-paying reckless tickets. However, prepayment is also an admission of guilt, and the conviction will go on your driving record for eleven years. Reckless driving is considered a misdemeanor in Virginia, which also requires disclosure on many employment applications in addition to it being listed on your driving record. Admitting guilt through pre-paying a ticket also opens you up to potential civil liability if the charge for reckless driving arose out of a car accident that caused property damage or personal injury to another person. Your lawyer will be able to explain these options in greater detail and advise which option is best for your situation. If you have been charged with reckless driving in the Fredericksburg area, it is incredibly important that you speak with a skilled traffic law attorney about your options. Call the office or contact me today to schedule a free consultation about your traffic case.